How do you listen to music? Do you use Pandora, Spotify, or iTunes? If you’re driving in a car, you are probably listening to music on the radio. However, back in the old days when you were a teenager, you might have bought plenty of CDs. You might still have plenty of CDs lying around your bedroom. Yet, CDs have now become a relic of the past. Today most people have iPods, iTunes and even free options like Pandora if they want to listen to music. The vast majority of the music people listen to can be accessed on their smartphone or their computer. That means old CD collections are often lying around the house and not being used whatsoever. Instead of having your old CDs or even DVDs collecting dust on your bookshelves, you can actually make some extra money by selling these items online. It can be very complicated and stressful to find the right place to sell your electronics through the Internet for the most money and in the shortest amount of time. Yet it is possible to sell CDs, DVDs, and other electronics online for a good price. Looking for the Best Place to Sell Used CDs Online? Look No Further! Most people tend to choose eBay or Amazon when trying to sell their CDs and electronics. While these are fine choices, you will find that both Amazon and eBay can take a much longer time to sell your products and gain payment. If you want a quick and simple method for getting cash for a CD buyback program, there are other websites that will work better for you. You can turn your old CD collection into fast cash by selling them quickly and easily through various websites. You won’t have to spend too much time looking for buyers and can quickly get cash back for your CDs. Lots of websites exist that offer cash or check for your used items. If you have stuff like CDs, electronics, DVDs, or any other things, you can sell them online quickly and simply. Keep reading to learn about the top 11 places where you can sell your CDs and other electronics online. 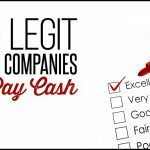 These particular sites will give you the most cash for your products. One great place to compare prices for a number of items is through the website Bonavendi. Do you have books, DVDs, or video games to sell? If you have a CD collection you’re looking to get rid off for some cash, use Bonavendi to compare prices across the Internet. This is the top resource you should use. It can give you great information on all the buyback programs available through different websites. You’ll be able to compare prices and find the highest amount you can make for selling your CDs online. The newer or more rare of a CD you own, the higher the price you can make for selling it. Through the website, you can find prices for CDs ranging from $0.70 to $0.90 on average. Let’s say you have a stash of 50 CDs stuck in your attic or your garage. If you sell those CDs, you could make nearly $50. That’s enough money for a week’s worth of groceries! Additionally, if you sell a really popular CD filled with music by The Beatles, Rolling Stones, or Pink Floyd, you might see even more cash. Some rare and popular CDs get sold anywhere from $4 to $5 each. If you have a lot of CDs in your collection, you can make a good amount of money very quickly. So you can make sure your bills are paid on time. You’ll be able to make enough money for groceries too! So if you ever have a month without enough income coming in, selling CDs using the Bonavendi website should prove fruitful. Another great idea is to download the mobile app for Bonavendi. You can download the app through your smartphone, which is available on iOS and Android phones. Amazingly, the mobile app can allow you to scan your used CDs straight into your selling cart. 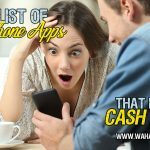 This lets you save a lot of time while making cash quickly and easily. One of the most well-known places to buy and sell used items is Amazon. Despite this, few have heard of Amazon’s Trade-In program. This is a great buyback program you can use to sell your CD collection. You can quickly sell your used CDs through the Amazon Trade-In program by typing in the singer’s or artist’s name and the name of the song. You can use the barcode to look up the trade-in value of your CDs. You’ll find that the average price you can make for your CD collection through the Trade-In Program is anywhere from $0.45 to $0.65 per CD. One of the best parts of the Amazon Trade-In program is the free printed shipping labels you’ll get. It makes it much more convenient and easy to send your CD collection and other electronics through the buyback program. On top of all this, the program also gives you the opportunity to receive Amazon credit after selling your CDs as well. The website Decluttr is another great place where you can get old CDs off your hands. You can also sell off some other tech items such as Apple iPad or iPhone accessories. You will need your UPC barcode number when selling through Decluttr, but once you have this you can sell it rather quickly and easily. The payment offered through this website is also fair so you’ll get a good price. The amount you make will depend on the type of CD. However, on average, you’ll be able to make anywhere from 45 to 65 cents for each CD. 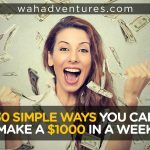 The best part is that you can get paid real fast. You can get your payment literally the next day after they receive your free shipment of CDs. However, you won’t be able to use this website and buy back program if you do not have the UPC barcode of your old and used CDs. You will need this barcode in order to get paid for selling your CD on Decluttr. If you can’t find your barcode on your used CD, you can try typing the name of your CD and the letters “UPC” into the Google search engine. This may get you the barcode quickly and allow you to sell your collection on Decluttr. While the website BookMonster is clearly a great place to sell your used books, you can also use this particular organization to sell your old CD collections. 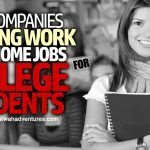 If you do have some old college textbooks or used novels to sell, check out this post to learn what sites are best for you. On BookMonster, there are multiple ways to sell your CD collection. You can search for the artist or singer name, the title of the CD, or the UPC barcode. One of the most accurate ways, however, to sell your CD through this site is by using your UPC barcode. You can sell your CD collection through BookMonster for as much as 70 cents per CD. Depending on the rarity or popularity of the product you’re selling, you can make an average anywhere from 50 to 70 cents per item. Before you can move your products over to shipping and checkout, you will need to have at least 10 items or about $10 on average to sell. Once you do meet these rules, you can move forward and receive a free shipping label. You’ll be able to sell your old and used CD collection very quickly through BookMonster. If you’re looking for a place to sell back your used electronics and CD collections, check out Buyback Express. It offers great prices for both electronics and CDs. Through this website, you will also be required to have the UPC barcode information in order to sell your old CD collection. Here’s an awesome benefit though: you can type in as many as 15 UPC codes in the same list so it makes the whole process move much more smoothly and quickly. Selling a CD through BuybackExpress can ensure you get paid on average anywhere from 45 to 65 cents. You’ll find that BuyBackExpress will give you the chance to take part in free shipping when selling your products. You’ll even be able to track your items once you sell them. This will help you track the shipment and make sure that your buyers receive your CDs in a timely manner. Your payment can come in the form of check or PayPal once all of your CDs and other items are delivered to the buyer(s). Do you have any rare CDs you’d like to sell? Or do you have used CDs of a special edition you want to sell? Then F.Y.E. is a great place for you to sell used CDs for a great price! However, be aware that F.Y.E. doesn’t have a huge selection of CDs they are willing to buy back. If you do have a special, rare CD that they want to have, F.Y.E. will pay you a very high price for it. You might be able to make as much as $9 for one rare album or CD. However, you will likely be unable to sell other common CDs through this buyback program. Usually, you’ll be able to make around 60 cents or so per CD when selling your items through F.Y.E. To see if this company will buy your rare CD and how much you’ll be able to make for it, you can type in your UPC barcode on their site. So if you have any specialty CDs or any rare music albums, try F.Y.E. They will likely give you some incredible prices for your rare collection! You’ll need to pay for shipping your collection upfront but will then be reimbursed for the shipping costs once your items have been delivered. Are you in need of money by the end of the coming week? Do you have bills that need to be paid as soon as possible? Then you should consider selling your CDs through EagleSaver. This is the perfect place to sell used CDs if you want to get paid quickly. EagleSaver promises to pay you within 24 hours after getting your product shipment. That’s their guarantee so if you need quick payment, this may be the best place for you to sell used CDs. You can get paid either through PayPal or receive a check in the mail. On average, you will get paid anywhere from $0.55 to $0.75 for each CD through EagleSaver. Some items, however, may net you even more money. If you’re going to use EagleSaver, be sure you have quite a big CD collection. The more CDs, the better. You’ll need to have a minimum of $20 for your collection in order to get the free shipping option. Your average item will also need to cost around $1 if you want free shipping. Do you have a large collection of different CDs and music products? Can you meet the $20 minimum? Then EagleSaver is likely a great place for you to sell your items! If you have some DVDs or CDs to sell, check out the website SellDVDsOnline. You’ll be happy to know you can sell a variety of different electronics on this site. If you want to check out more options where you can sell your old electronics, take a look at one of our posts here. Along with DVDs, you can sell your CDs and your old video games on the SellDVDsOnline website platform. 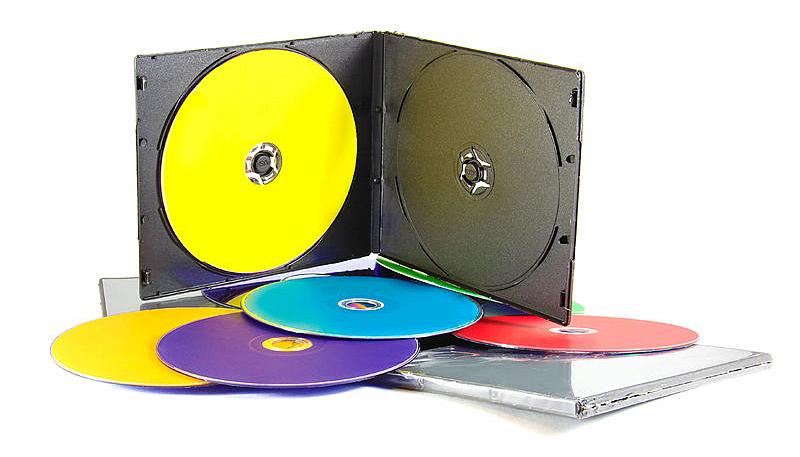 This business lets you sell compact discs and various media discs very quickly and simply. You’ll be able to get free shipping through this website and you can get paid through PayPal or mailed check. Some items get a large price. On average, you will receive anywhere from 50 cents to 70 cents for each used CD you sell through the SellDVDsOnline website. However, you will not get a price quote through the site if you only have a CD title or ISBN number. You will need the compact disc’s UPC code in order to get a price quote and sell your product. Your payment will be processed in 3 days after your order is delivered to the buyer. Also, you’ll get the benefit of free shipping through this program! If you meet the Pre-Valuation requirement of the Abundatrade site, then you can make a lot of cash by selling your used CDs here. You’ll also get free shipping for a variety of products you sell through this site including DVDs, CDs, and video game electronics. Your pre-valuation price needs to be at least $15. Also, the average price for your items need to be 75 cents at minimum. This shouldn’t be a problem overall. The average price for each CD or other tech item is 65 cents to 85 cents through the Abundatrade website. If you want free shipping, you will, once again, need to have a lot of CDs and a large collection of electronics. Otherwise, you’ll have to pay for your own shipping through this website. When it comes to payment, it may take a bit longer through this site. After your products are delivered, you’ll have to wait two to three days for a PayPal transaction to appear in your account. Also, if you choose to get paid by check, you’ll need to wait anywhere from two to three weeks for it to appear in your mail. If you’re looking for another website where you can quickly and easily sell your used CD collection, check out Ziffit.com. This company offers a free service with no obligations. You can put in your barcodes and review the price quotes available. 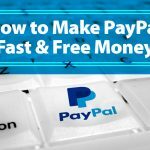 Best of all, you can get paid directly to your bank account or through your PayPal account. So if you want another quick and simple way to sell those used CDs and make some cash, consider Ziffit! Out of all places that buy used cds and dvds, you will make the most by selling through SecondSpin.com. You’ll be able to make as much as $2 all the way to $8 for each CD. You can also sell DVDs and Blu-Ray discs through this website. DVDs usually go for $5 or $6 while Blu-Rays can go anywhere from $5 to as much as $14. You can look up the title of the CD, artist/singer name, director or UPC code at the top of the site. So be sure to check out this site if you want to get a lot of money for your old CDs and DVDs. Now that you have read through all of these options, you should have a much better idea where you can make the most money selling your old and used CD collections. Bonavendi may be the preferable choice for finding the best deal since it allows you to compare prices from lots of different electronics buyback websites. 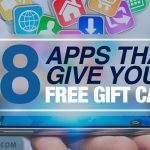 Based on your particular needs, however, other websites like Amazon Trade-In, EagleSaver or Second Spin found in this list could be very useful and important as well. This list should help people from all backgrounds sell off their old CD collections. Are there any other websites you’ve found to sell your CDs and electronics? Or have you sold your CD collection on one of the sites from above? What a joke, Amazon hasn’t bough used CDs in years. You have any info that has been updated since Trump won?